All the bikes here at Wheels & Waves are clean. All except one: ours is spattered in mud. It's just ridden a cool thousand miles from Down & Out's bike-building Rotherham HQ to Biarritz, a resort town on France's west coast. 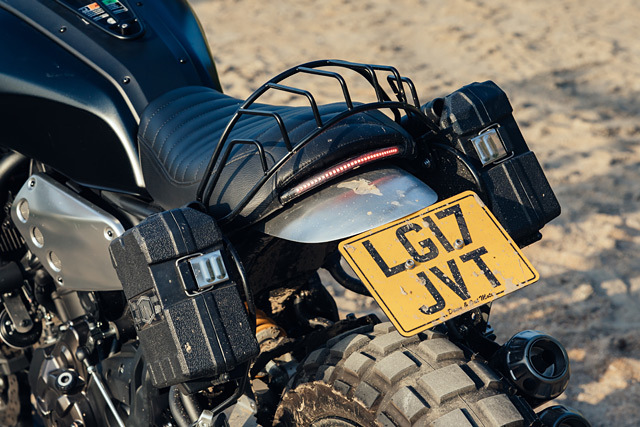 It's the British entry into this year's Yard Built project being unveiled at the bike and surfing festival Wheels & Waves. While the other European teams are giving their spotless bikes a good shammy, D&O's chief customizers Shaun and Carl are kicking back with a beer. Cleaning ours isn't the first priority right now. Besides, it looks good in mud. 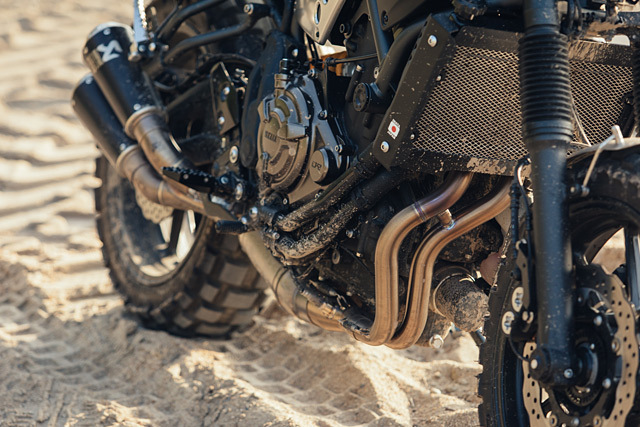 Our brief was simple: combine Down & Out's build skills with BIKE Magazine's thirst for adventure by customizing a Yamaha XSR700 and then riding it from its birthplace to Biarritz. The whole design concept of the bike stemmed from this brief, but the D&O boys seemed to like the bike just the way it was. “I remember it being difficult to know what to change at first,” says Shaun. 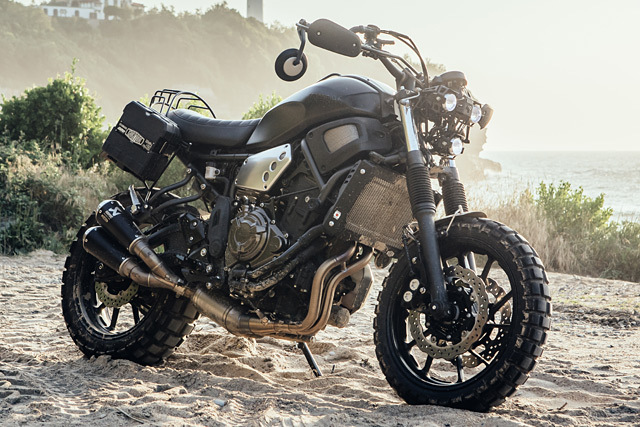 “The base XSR is such a sorted-looking bike we didn't know what we wanted to fix.” But gradually the number of tweaks mounted up – uprated suspension to cope with the long and varied journey, bespoke luggage racks, aggressive-looking handlebar with characteristic Down & Out hidden wiring. 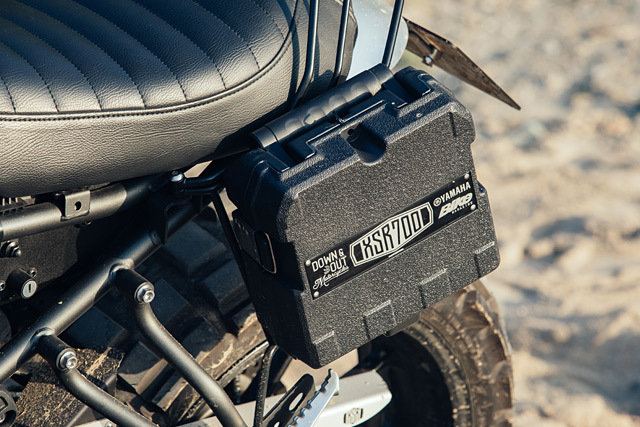 The result is a bike that is very much ready for adventure, but still clearly based on the XSR700 platform. The first time I saw the bike I was immediately apprehensive. Past experience had taught me to be wary of expensive suspension adorning road bikes. All too often the setups are much too hard for even fast road riding and spoil the experience. And those tires. The knobby bits can't help it grip in the corners. 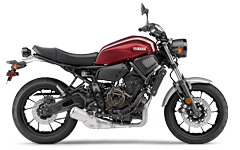 But the proof is in the riding, and on the way down it held its own against the three other Yamaha bikes accompanying it. 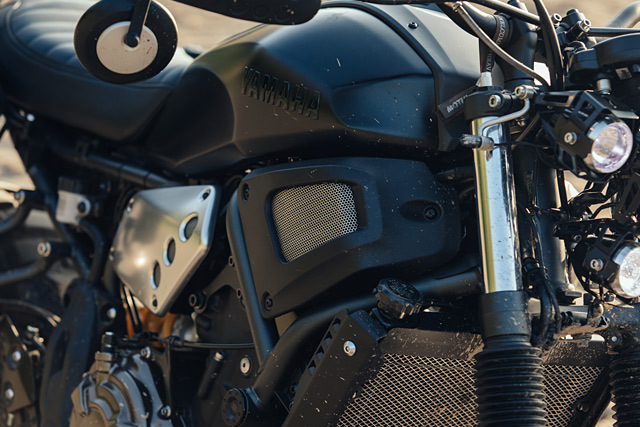 Against the competition – an XSR900, SCR950 and XV950R – our custom was easily the most fun to ride. The 700's inline twin is a really impressive engine, marrying accessibility with eye-widening performance. 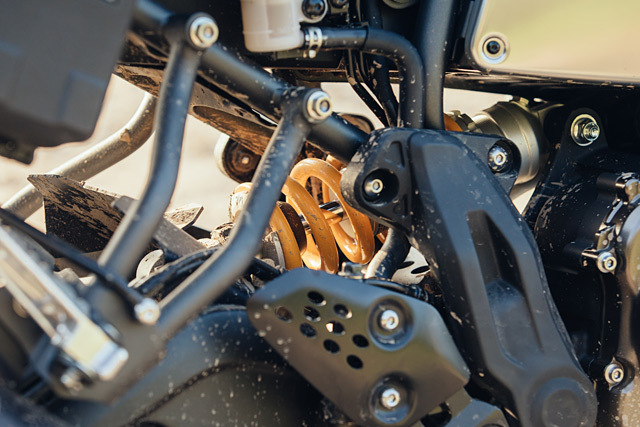 On top of that, uprating the suspension to softly-sprung Ohlins units allowed its attributes to be exploited beyond what is available on the stock bike. Serious fun. 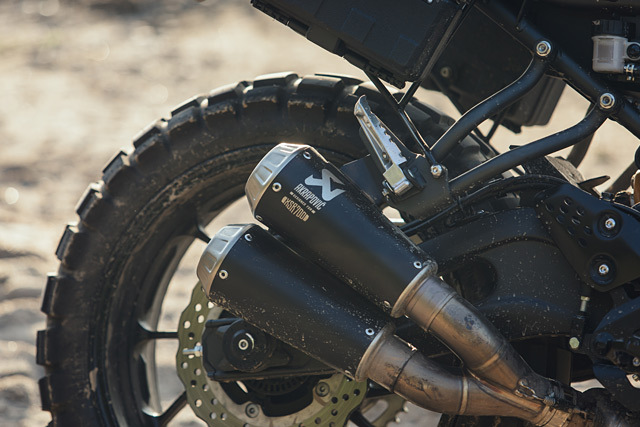 Serious fun that can be had on any XSR with a few well-chosen modifications. A full-on custom motorbike like ours is a little different. Down & Out's Shaun: “Buying a custom bike isn’t as easy as walking into a shop and buying parts off a shelf. 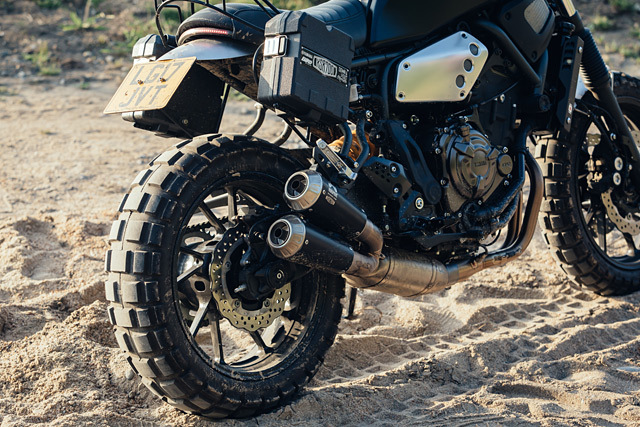 Our XSR700 is a one-off bike with some bespoke parts that take a lot of time and effort to produce.” Shaun and Carl could turn any XSR into this model for £6,500 including VAT, and the build would take 8-12 weeks to complete. 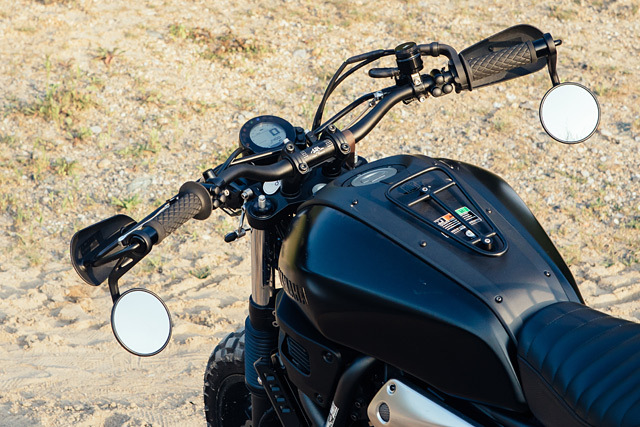 But customizing an XSR doesn't have to be that expensive. Fancy just the headlight, seat, brake light and mudguard? That’ll be £1000 plus VAT. Head to the D&O webpage bespokemotorcycles.co.uk for more information. That 12-week build time makes sense when you delve into the detail. Down & Out built and assembled the aluminum mud guards, pannier rack and side boxes, tail tidy, seat cover, rear luggage rack, indicator mounts, and the tank bag rack. They also sourced the footpegs, head- and brake lights, and those neat front indicators. Yamaha supplied other parts direct from their catalogue: the Ohlins fork internals and rear shock, mesh side panels, radiator cover, front and rear spindle covers, short seat, chain guard, and of course the Akrapovic exhaust. 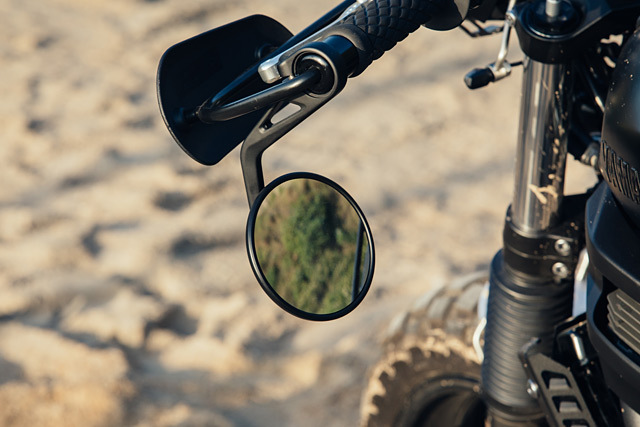 The cockpit's finishing touches – handlebar, master cylinder, reservoir, and levers – came courtesy of parts manufacturer LSL. And finally, those tires are Continental TKC80s: biased towards off-road capers and as knobby as they come.